In recent years China has been remarkable in achieving extraordinary economic transformation, yet without fundamental political change. To many observers this would seem to imply a weakness in Chinese civil society. However, though the idea of democracy as multitudes of citizens taking to the streets may be attractive, it is simultaneously misleading as it disregards the nature of political change taking place in China today: a gradual shift towards a polity adapted to a pluralist society. At the same time, one may wonder what the limited political space implies for the development of a social movement in China. This book explores this question by focusing on one of the most active areas of Chinese civil society: the environment. China’s Embedded Activism argues that China’s semi-authoritarian limitations on the freedom of association and speech, coupled with increased social spaces for civic action has created a milieu in which activism occurs in an embedded fashion. The semi-authoritarian atmosphere is restrictive of, but paradoxically, also conducive to nationwide, collective action with less risk of social instability and repression at the hand of the governing elite. 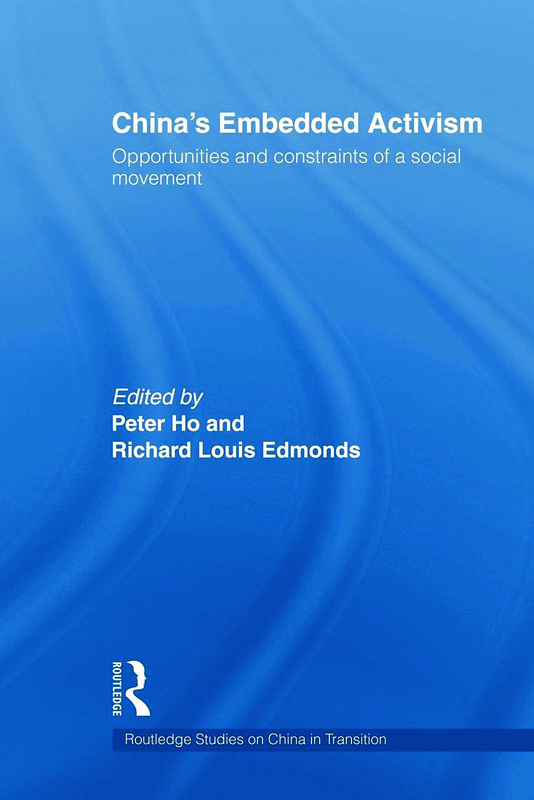 Rich in case studies about environmental civic organizations in China, and written by a team of international experts on social movements, NGOs, democratization, and civil society, this book addresses a wide readership of students, scholars and professionals interested in development, geography and environment, political change, and contemporary Chinese society. Self-imposed censorship and de-politicized politics in China: Green activism or a color revolution?